Lucrieta has been a fitness buff for more than a decade. After a rude wake-up call from a fat-percentage measurement, she plunged into an active lifestyle in 1997. After obtaining her first group exercise trainer certification in 2007, she has been teaching various forms of dance aerobics (land and aqua) and body-conditioning classes, at selected fitness studios and corporations since. Besides ensuring a safe and effective workout, Lucrieta believes in continuously motivating her participants by incorporating the element of fun in every class. She enjoys pursuing health and fitness education and passing on the knowledge to her participants, encouraging them to lead a healthy and active lifestyle. 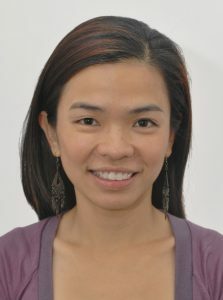 In April 2009, Lucrieta founded Fitness Fun Group Pte Ltd, shortly after obtaining her Bachelor Degree in Sports Science. She was the first and only Instructor to bring Piloxing to Singaporeans, being invited by ActiveSG (2014, then Singapore Sports Council) to connect with The Piloxing Academy and front Piloxing, as one of the launching platforms for their rebranding exercise. In 2015, ActiveSG once again nominated her to front Kukuwa® Dance Workout, a new African dance fitness that arrived at our shores. In 2015, Lucrieta discovered that she was suffering from a degenerative spine, which led her to pursue her current passion, healing people through movement. She is now teaching Pilates Mat work and equipment based exercises, in both group and private setting. In addition, she uses Yoga as a form of energy medicine to clients ranging from teenagers to seniors above 70.